Planning to upgrade? Keep your Windows 10 PC safe from cybercrime. It takes a lot of tech to outsmart cybercrime. What you think of as daily to-dos — open a file, watch a video, visit a social site — cybercriminals see as opportunities to invade. If you simply rely on the antivirus protection and security features built in to your operating system, it’s like locking your front door, but leaving your windows open. You’re not completely protected. To help ensure that your private information stays private, Norton Security includes several patented, high-performance cybercrime prevention technologies developed and fine-tuned over 25 years. Stay protected on Windows 10 two ways. First, make sure you have the latest version of your Norton service. Second, follow our Norton Protection Blog. Need help? Get free tech support to install your current Norton service on Windows 10. It takes a non-stop operation to stay one step ahead of the more than 80,000 new malware threats created every day. The Norton team has spent more than two decades building one of the largest cybercrime prevention operations in the world. Every day, our team of security engineers and virus hunters analyze data collected by a global network of threat monitoring systems to build timely product updates for Norton Security. And those updates are automatically delivered to our customers — so you always have the most up-to-date protection from the latest threats detected by Norton Security. Norton Security provides protection for the multi-device way you live today. You can have one convenient subscription to protect multiple devices — computers, smartphones, tablets — across multiple operating systems, including Windows, Mac®, Android™ and iOS®. We’re so confident in our cutting-edge threat-detection technology, we make a promise to our customers that no other security software can make — our Virus Protection Promise. From the moment you subscribe, a Norton expert will help keep your devices virus-free. If a virus ever manages to slip through the Norton multi-layer defense system, our team of experts is just a click or a phone call away to make it right. In the unlikely event that the virus can’t be removed, we will refund your money. 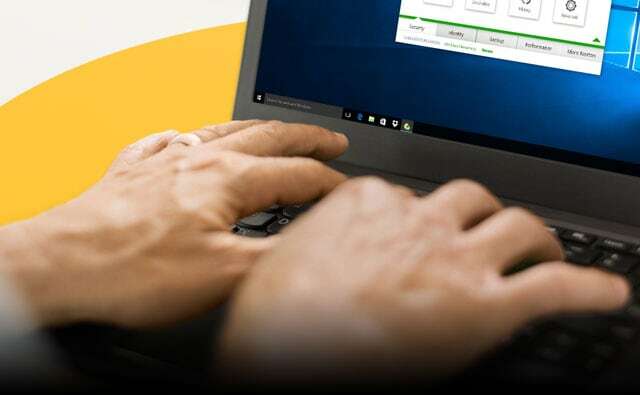 * To be eligible for the Virus Protection Promise, you must purchase, renew or upgrade your Norton subscription directly from Symantec, or subscribe to the Norton Automatic Renewal Service. If a Symantec service representative is unable to remove a virus from your device, then you may receive a full refund on the actual price paid for the Norton subscription, or if a Norton bundle, the total Norton bundle price paid (net of any discounts or refunds received and less any shipping, handling and applicable taxes, except in certain states and countries where shipping, handling and taxes are refundable) and only for the current paid subscription service period for that subscription or subscription bundle. The Norton subscription must be installed and activated on your device prior to the time it is infected by a virus. The refund does not apply to any damages incurred as a result of viruses. © 2016 Symantec Corporation. All rights reserved. Symantec, the Symantec Logo, the Checkmark Logo, Norton, and Norton by Symantec are trademarks or registered trademarks of Symantec Corporation or its affiliates in the United States and other countries. Firefox is a trademark of Mozilla Foundation. Google Chrome is a trademark of Google, Inc. Mac, iPhone and iPad are trademarks of Apple Inc. Microsoft and the Windows logo are trademarks of Microsoft Corporation in the United States and/or other countries. Other names may be trademarks of their respective owners. The Android robot is reproduced or modified from work created and shared by Google and used according to terms described in the Creative Commons 3.0 Attribution License.